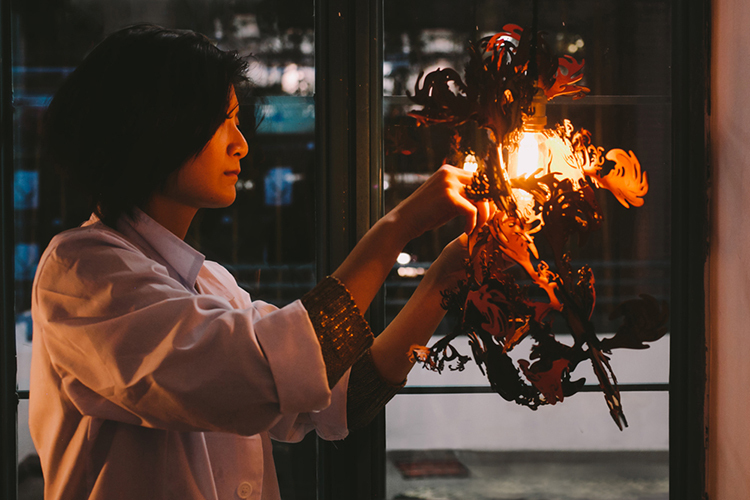 Elaine Ng Yan Ling, the founder of The Fabrick Lab, is a talented designer who gives a contemporary twist to age-old techniques on fabrics and materials. 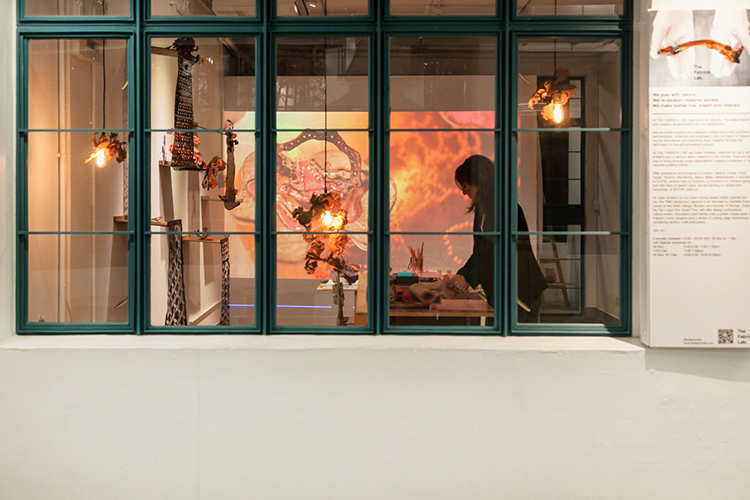 Back in December during Business of Design Week (BODW) in Hong Kong, Elaine was one of the artists who hosted a pop-up space at the creative hub PMQ. 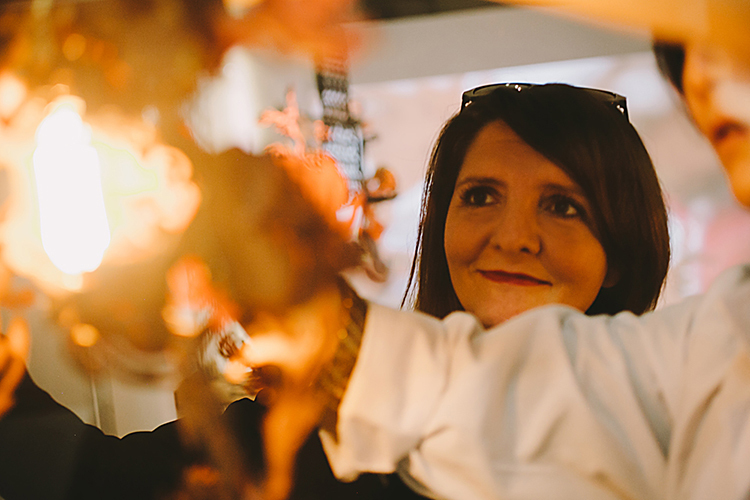 The pop-up, which Elaine and her curator dubbed a “smart pod”, gave the public a great opportunity to appreciate her creativity through workshops and displays. 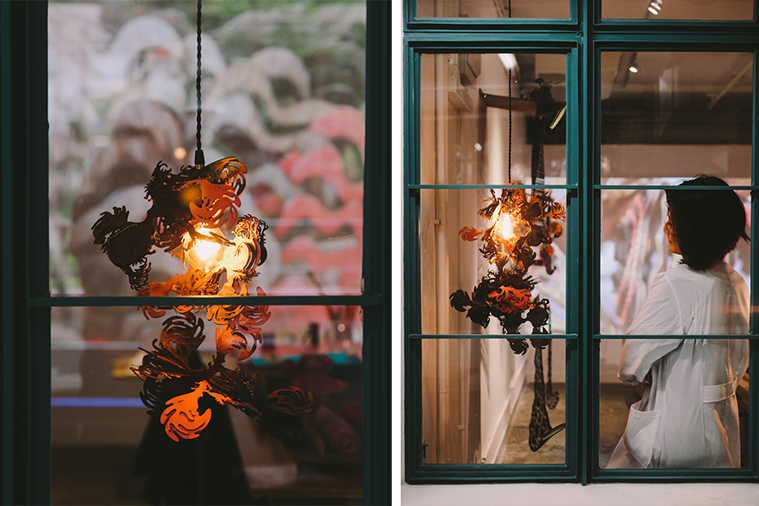 I was commissioned by her curator Isabelle Pascal to capture the details and atmosphere of the PMQ pop-up. Keeping in mind the dramatic lighting in the smart pod, we went for a night time photoshoot when the light and shadows can be best seen. Part of the challenge of photographing Elaine’s beautiful work was how multi-dimensional it all was. 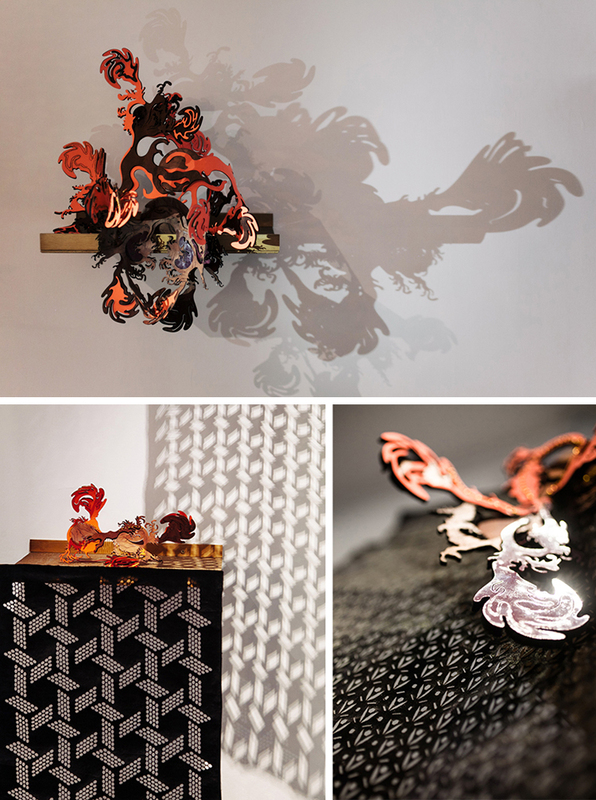 In the Climatology series, intricate designs were cut on pieces of wood veneer, which were then “combined with fabric, reactive dyes, and reflective surfaces to create objects that adapt to fluctuations in light, temperature and humidity.” The trick was to show the reflective surfaces and the dynamic shapes of the headpieces and lamps in the Climatology series. The curated space in PMQ also featured Elaine’s series Un/fold Guizhou. 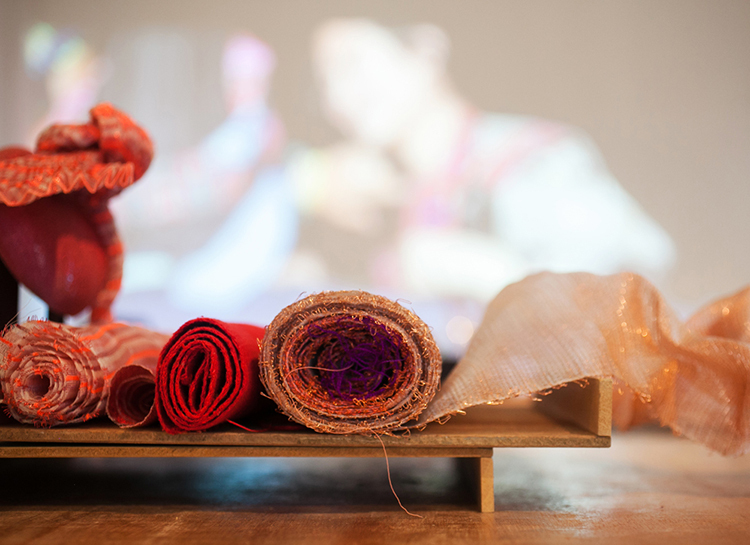 She adapted traditional Guizhou fabric weaving techniques and made them into modern laser-cut and metallic-based textiles. The result was an amazing blend of old and new, and gave these village craftsmen in rural China a sustainable way of continuing their traditions. 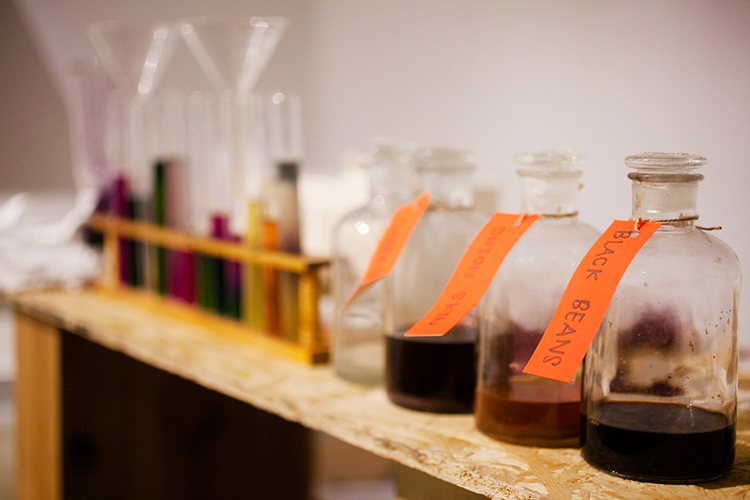 The PMQ smart pod was filled with such inspiring work, bathing in the warm light from Elaine’s Climatology lamps. The pop-up is long gone, but I hope you can feel the vibe through these photos!